The Aston Martin DB5 would be nothing more than a footnote in its automaker’s history had it not become arguably the greatest movie car of all time. 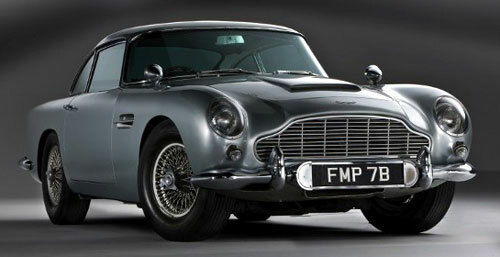 Unlike other movie cars (DeLorean, Volvo P1800, etc) which were catapulted from obscurity to screen stardom but still had something intrinsically unique and memorable about them, the DB5 was nothing more than a 3-year (’63-’65) transitional model between the more significant DB4 and DB6. 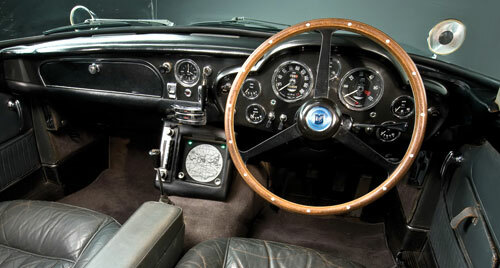 The former was the first “modern” car from the British prestige automaker, featuring proportions and mature design details passed down to every subsequent Aston. The DB5 only differed substantially from the ‘4 in that it had a 5-speed transmission and a third SU carb providing fuel to its 0.3l-larger 4.0l, 282-hp inline six. And the later DB6 was an important stepping stone to the V8 Vantage that carried the company through the turbulent ’70s. The ‘6 was larger than the ‘5 in many key dimensions, had a host of styling alterations and upgraded equipment and featured more conventional body-on-frame construction in place of the DB5’s tube-frame structure. For as few changes as it incorporated over the DB4, and for as many differences as the DB6 featured, it’s safe to say the DB5 was just a stopgap—until it rocketed to worldwide fame as the Bond car in the iconic ’64 feature Goldfinger. Curiously, to me, the story of the DB5’s somewhat improbable celebrity has certain parallels with that of another notable Briton—and another “5”—Henry V. Reigning for 9 short years (1413-1422), sandwiched between more long-lived and significant monarchs, achiever of a handful of notable military successes (Agincourt, among others) in the same way the DB5 was inherently a good car, Henry V’s tenure on the throne would likely be much more obscure were he not immortalized in William Shakespeare’s play. As with the Aston, it’s amazing what a little publicity can do for one’s historical perception. Like king, like car.